In order of its 70th anniversary, launched a social media campaign which is #mybusfromcaetano. This campaign aims to create the biggest community of CAETANO brand buses on Instagram. With this, CaetanoBus plans to promote its newest presence on the social network as also encourage the sense of belonging towards for a mode of transportation that makes part of everyday life for millions of people in Portugal and in the world. CaetanoBus, which is modernizing its web channels, launched a campaign that aims to promote its new Instagram. Travelling to work, whether on a holiday, leisure or long trips, buses are part of the lives of millions of people around the world. Knowing the relevance of buses e world transports, the Company is challenging its users and bus fans from Caetano in Portugal and around the world to meet its new Instagram and share a photo of one of the buses that they use in a particular time of the day. 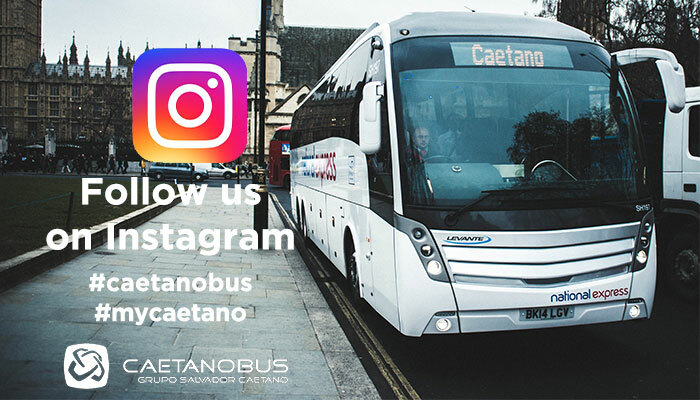 To do this, it’s simply necessary to publish the photo on Instagram using the hashtags #caetanobus and #mybusfromcaetano. This social media campaign results of the celebration of 70 years of activity of the Company, which has been modernizing its web channels with the launch of a new website, and now with a renewed presence in social media, most specifically on Instagram.